The Samsung Galaxy A70 is priced at Rs 28,990 and will be available for pre-booking between April 20 and April 30. Samsung has announced its sixth smartphone under the Galaxy A series called the Samsung Galaxy A70. The phone comes with a host of features that includes stunning super slow-mo videos and super-fast charging capability. The phone also comes equipped with Samsung Pay that lets users pay using the smartphone without having to carry the wallet. The Samsung Galaxy A70 comes with a 6.7-inch FHD+ Super AMOLED display with 1080X2400 resolution, featuring Infinity-U display. 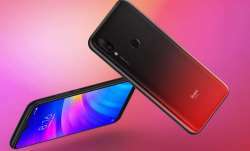 The phone comes powered by the Octa-core Qualcomm Snapdragon 675 processor with 6GB RAM and 128GB internal storage that can be expanded to 512GB using the microSD card slot. 8MP Ultra-Wide (F2.2)+5MP Depth F2.2 sensor along with the 32MP (F2.0) camera. The Galaxy A70 gets a 4,500mAh battery with 25W Super-Fast charging and USB Type C. The phone runs on Samsung One UI on top of Android Pie and gets an on-screen Fingerprint sensor. The Samsung Galaxy A70 price in India is Rs 28,990 and will be available for pre-booking between April 20 and April 30. Customers who pre-book can get the Samsung U Flex, a premium Bluetooth device worth Rs 3,799 for Rs 999 only. 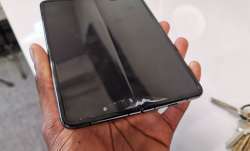 The Galaxy A70 will be up for sale on May 1 and will be available in three colour options of White, Blue and Black. 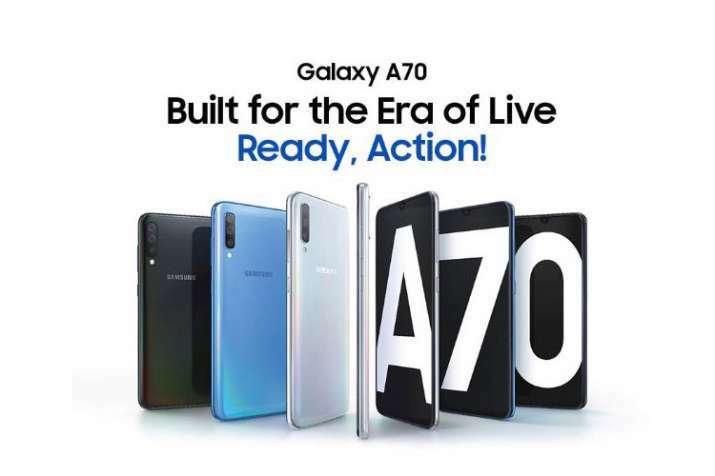 The Samsung Galaxy A70 will be available on Flipkart, Samsung e-Shop and Samsung Opera House.